Timothy Artman/TeslaEarly reviewers have praised the Model 3’s handling and acceleration. Early reviews from Tesla Model 3 owners have been positive so far. Some have praised the car’s handling and said they prefer it to the pricier Model S.
Most concerns have involved technical problems. Tesla‘s Model 3, the company’s first mass-market electric vehicle, is beginning to arrive at the company’s showrooms. While most of the hundreds of thousands of people who pre-ordered the car are still waiting (and probably will be for a while), a lucky few customers have received their Model 3 vehicles. So far, the reviews are positive. “I like it a lot. I almost like it better than my [Model] S, just because it’s a little smaller,” Model 3 owner Chad Hurin told Business Insider in a phone interview. While he noted that the Model 3’s handling is “a little stiffer” than the pricier Model S, he said the Model 3 feels “quicker” and is easier to manoeuvre. Hurin’s biggest problem so far was a small one: The front, driver-side door doesn’t close as easily as he’d like. Hurin’s impressions resemble those expressed by Model 3 owners who have posted reviews of the car to Reddit. They praised the car’s handling and acceleration, and were mostly bothered by small, technical problems. Another Reddit user, TheYeags, described a hiccup with the Model 3’s Bluetooth features. 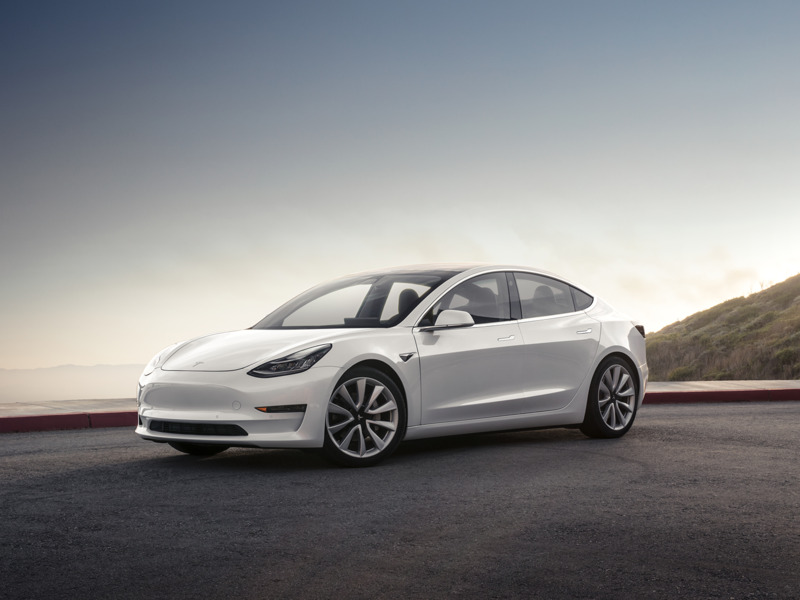 The positive responses the Model 3 has received so far are good news for Tesla – which has struggled to meet its production goals for the vehicle – and consistent with the long-term satisfaction Tesla owners have reported with the company’s cars. For Tesla to even come close to the lofty market capitalisation goals set out in a new compensation plan proposed for CEO Elon Musk, the company will have to find success among consumers who can’t afford Tesla’s high-end vehicles. Solving the Model 3’s production issues and working to fulfil the car’s pre-orders in a somewhat timely manner would be a good first step.